Sometimes we feel there is nothing else in our lives but the routine of getting up, going to work coming home, preparing dinner and then collapsing in front of the TV screen for a few hours to relax. Then spending our weekend cooking, cleaning, washing and getting ready for more of the same. If this is you just know there is another way, there is always opportunity to bring more value into your life no matter how full it feels with things you may or may not enjoy doing. Even within the routine tasks you carry out each day there is the opportunity to choose how you want to show up and how you want to respond to the trials and tribulations those tasks appear to throw at you, as well as the children, work colleagues, other members of your family you are interacting with. Reiki practice begins to create an energetic space in your life, to feel you are able to step back from the grind and be yourself. This becomes a gift to yourself, when you are in your own space, no expectations, and no pressure, just you with yourself to relax and recharge your batteries. Over time with regular practice you will find that stuff which used to trigger you or upset you just doesn’t have the same effect on you anymore. You become more comfortable with being you more often and this rubs off on those around you. So you become a real positive influence on those you interact with day by day and improve your relationships with yourself and others. If you are ready to for a change, perhaps Reiki is calling to you so why not give it a try? You can go for a Reiki treatment or just throw yourself straight in at the deep end and decide to learn Reiki yourself. Who knows how much more of yourself is just waiting to come out, waiting to see the light of day, waiting to fill your life with more peace, joy, love and happiness. We are very excited to share the news that Sandra Goodman is joining us at Navitas as a Reiki Master Practitioner! 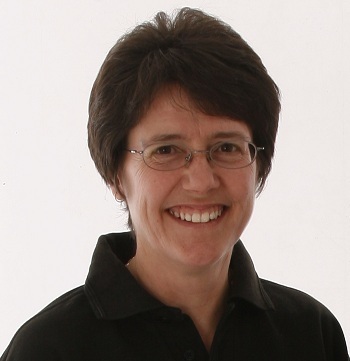 Sandra is a wonderful and dedicated Reiki Practitioner who has a lovely calm nature and is passionate about making Reiki accessible for all who need it. Sandra’s wish is to share Reiki with others, to use Reiki healing to improve the lives of her clients and provide accessibility for those would otherwise struggle. Here at the Navitas Centre we teach both Western and Japanese styles of Reiki. Although they both use the same source i.e. Spiritual or Universal Life Force Energy, they are two entirely different practices. 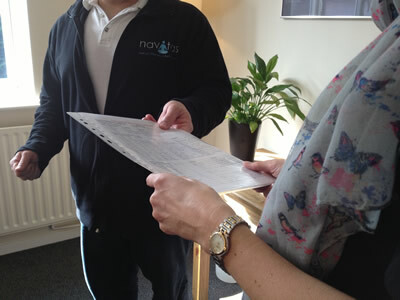 We have just had one of our Reiki students hand in their case studies after taking her Reiki level two course. Charlotte had been practising Reiki for quite some time after taking a Reiki level one course, but she decided to take the next step. This is a very interesting question and many would answer the question simply by saying, ‘Reiki is about healing’. This is not so much the case. The purpose of Reiki is to put us back in touch with the true essence of who we are. This is done by putting us in touch with the universal life force energy or spiritual energy. 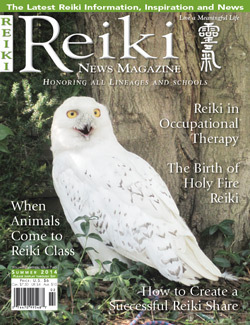 The overall ultimate aim of Reiki is to become enlightened, through a spiritual practice.